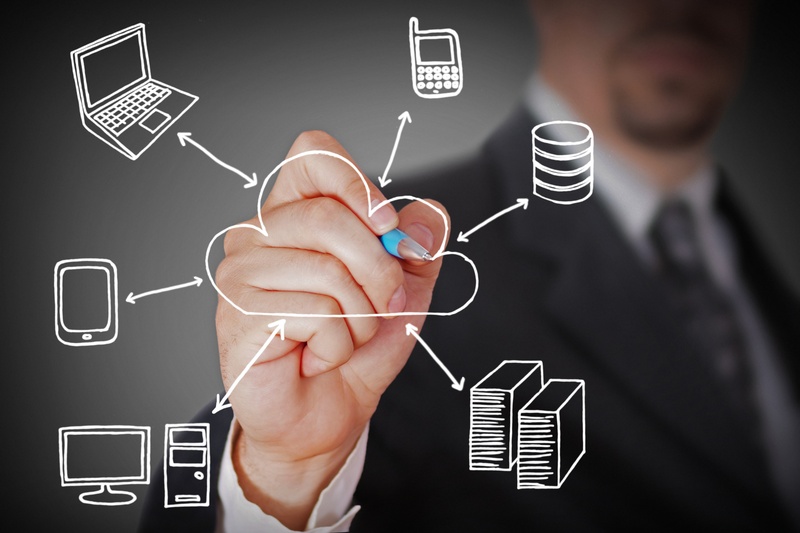 Businesses of all sizes have embraced cloud computing as a way to manage their data. Working on the cloud offers some big advantages, but it is not the best option for every business. So, how do you decide if the cloud is right for you? "Cloud computing" means storing your information online, instead of on your computer or your business' local network. For example, when you access your email from your computer, using a program like Microsoft Outlook or Apple Mail, you're using a "local" client — something installed on your computer. When you access your email through a web browser, like Gmail or iCloud, you're using the cloud. It's convenient. If your business uses any specialized software, you usually need to buy a separate license for every computer you're going to install it on. You'll also need someone to install it on each computer, which costs valuable time. If you run out of storage space on your network, you'll need to upgrade that, too. Cloud service providers can offer all this for a fixed monthly or annual cost, that can scale you grow. It's accessible. Left your computer at the office but still need to access your work? No problem- you can connect to the cloud from any device as long as you have internet access. It's on someone else. With the application or files no longer on the servers in the back room, it’s in someone else’s hands to be responsible for. It's internet-reliant. Even though most cloud providers have a highly reliable environment, they can’t control the last mile from your internet provider to your location. Your business may be operation ready but hiccups with the internet will bring you to a grinding halt. It can cost more. Even small per-user fees add up fast when you look at them over a 60 month period. What’s the 5 year cloud investment verse on-premise? We see some cloud costs 2-3 times the on-premise comparison. It can be less reliable. Just because your applications or files are offsite, that doesn’t mean it provides more reliability for your business. In a cloud solution, there are more pieces to the puzzle that all need to be working reliably, which means more points for failure and downtime. Did you know with the right IT partner, the advantages of cloud aren’t exclusive to the cloud? Your business can realize these advantages on premises too. Take a close look at your business needs before moving to the cloud (and don't be afraid to ask for help with that). A true IT partner can help you make the right informed decision for your business- whether that is cloud or on-premise.